“Dark Social” is a phrase that’s been tossed around since 2012, typically referring to content shared through channels other than social media. In the past that meant e-mail, chat services, text messages, and so on. Today that would also include direct messaging on platforms such as WhatsApp, Twitter, Instagram, and even Snapchat on which users are sharing upward of 2.5 billion messages per day. 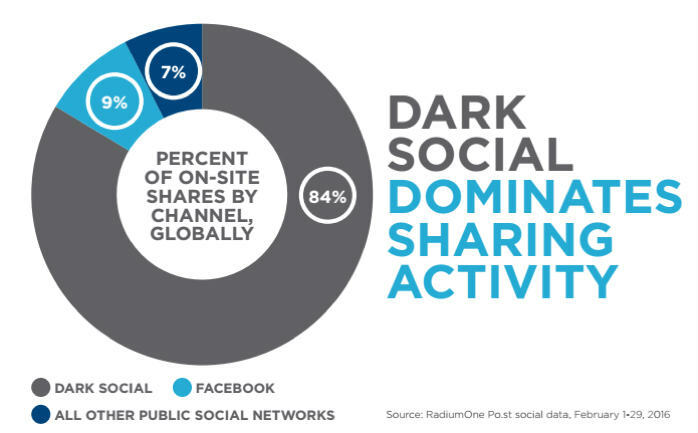 In fact, a study by RadiumOne shows that dark social accounts for over 80 percent of all social shares! The evolution of these social platforms has become a hot topic in business development because of the ability to directly connect with almost anyone, including a celebrity, a CEO of a company, or a specific marketing manager who has the authority to hire you. As society continues exploring new ways to connect with one another, companies are starting to take notice. As with everything pure, marketers are seeking new ways to exploit the technology for business gains. Historically, when marketers share information on social media, they tend to use “custom URL strings” that pull referral information directly into Google Analytics data. This makes it fairly easy to understand how successful social campaigns are performing. Using this custom URL string means that the medium and source information will automatically be added to the Campaign tracking report in Google Analytics. See the image below. This type of P2P sharing can be great for brand awareness and in driving qualified traffic to websites, but it creates a huge obstacle in terms of tracking and proving its worth. It’s almost impossible to track these referrals and forces tools such as Google Analytics to lump all data in the group for “direct traffic,” which is not true. “Direct Traffic” refers to someone going directly to the URL by manually typing it in the address bar—not by clicking a link somewhere else. 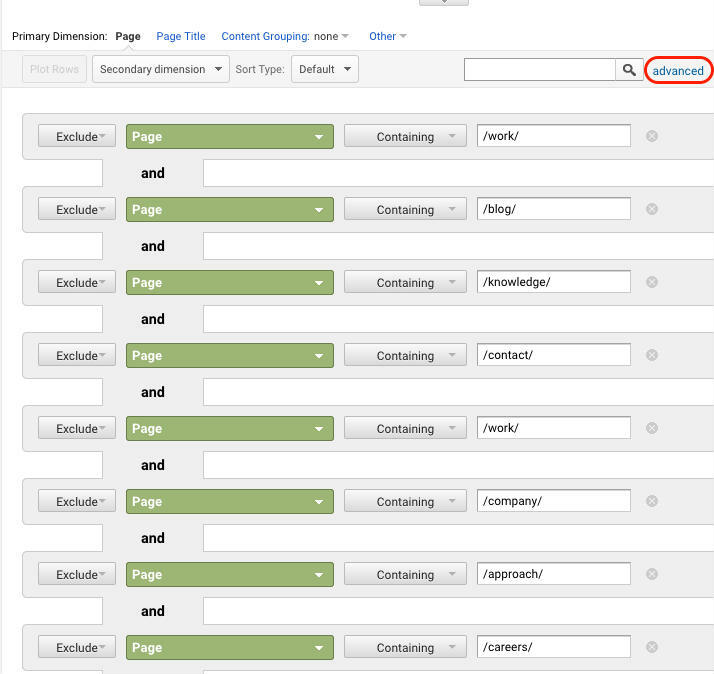 One of the simpler methods we use to estimate dark social is through custom segmentations in Google Analytics. I repeat, this only offers estimates, but is an easy way to gain a better understanding of the percentage of direct traffic that truly came from people who shared a URL rather than typing the URL directly. 1. 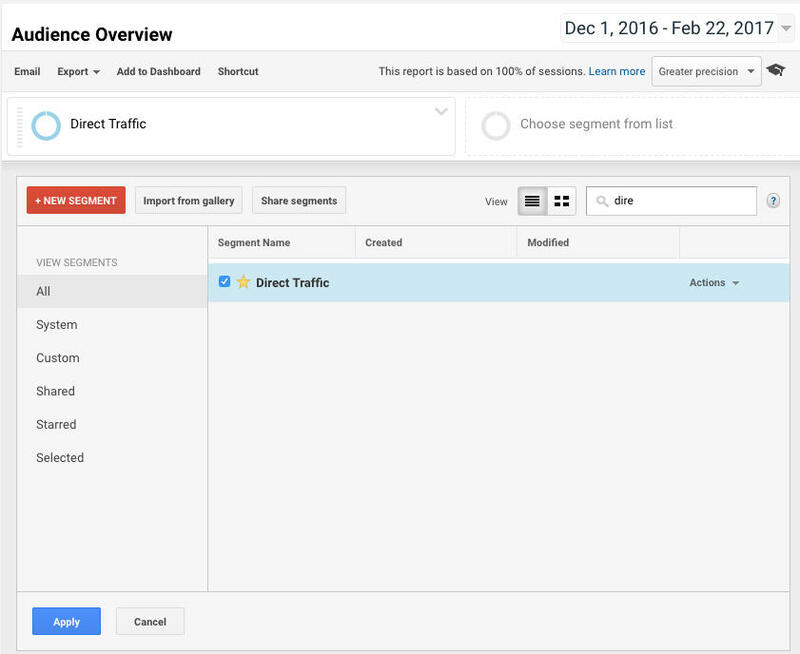 Start by creating a custom segment to view direct traffic only. Select Apply. 2. 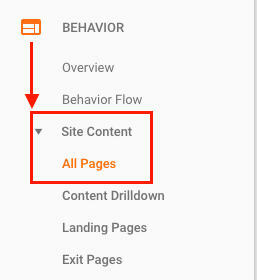 In Google Analytics, go to Behavior > Site Content > All Pages. This will show you a list of your top visited pages via direct traffic. With these pages excluded, there are only pages with long URLs left over, which are highly unlikely to have been typed out when users came to your site. This is one of the easiest methods you can set up. If you want to get really fancy and set up advanced tracking mechanisms to narrow this down even further, you can try third-party platforms such as getsocial.io or by using tracking features available through AddThis, Po.st, or Sharethis. The nature of mobile use and social apps encourage sharing and direct interactions more than ever. Overall, these are great for brand awareness and traffic generation, but they are not going to provide reliable trackable visitor information for some time yet. Don't Miss A Post! Get the Monthly Recap. Join the 9,500+ people who already read our blog every month. Is Dark Social Something Worth Caring About? FAQ: What Is Dark Social? Dark Social Media: Can You Measure What You Can’t See?